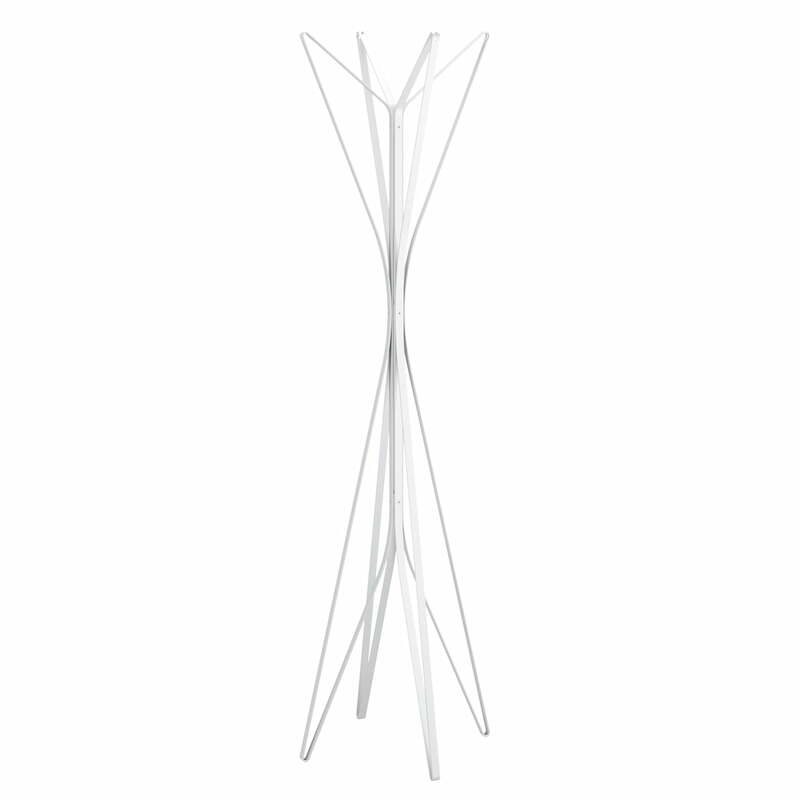 The Aster Coat Rack has been designed by Alessandro Dubini for Zanotta in the year 2010. 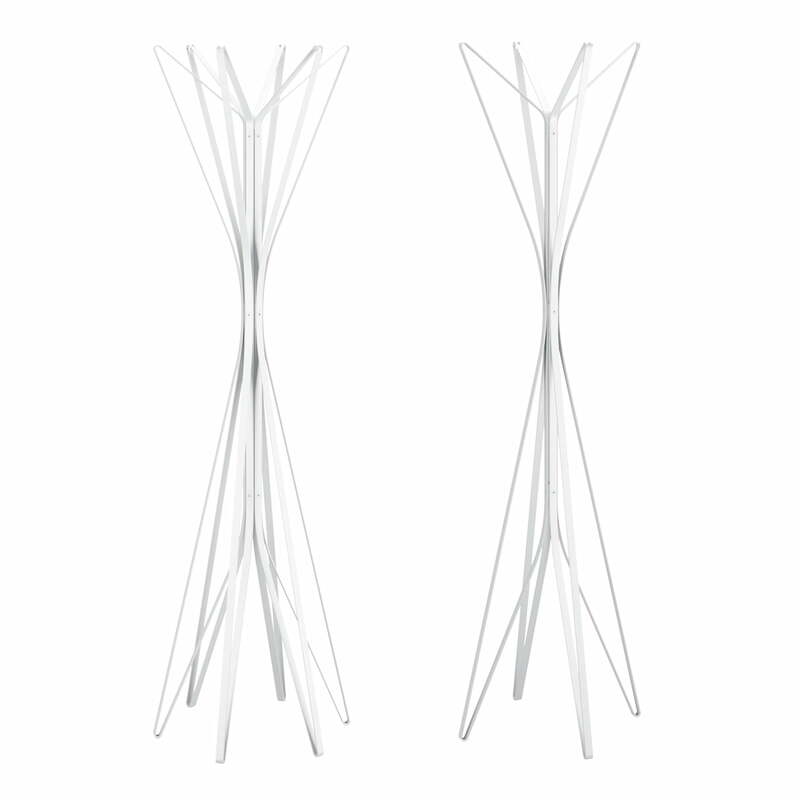 Aster emerged out of the desire of creating a simple and functional object with fine and original silhouettes. The hall stand was awarded with the Good Design Award in 2010 for its exceptional appearance and the additional functionality. 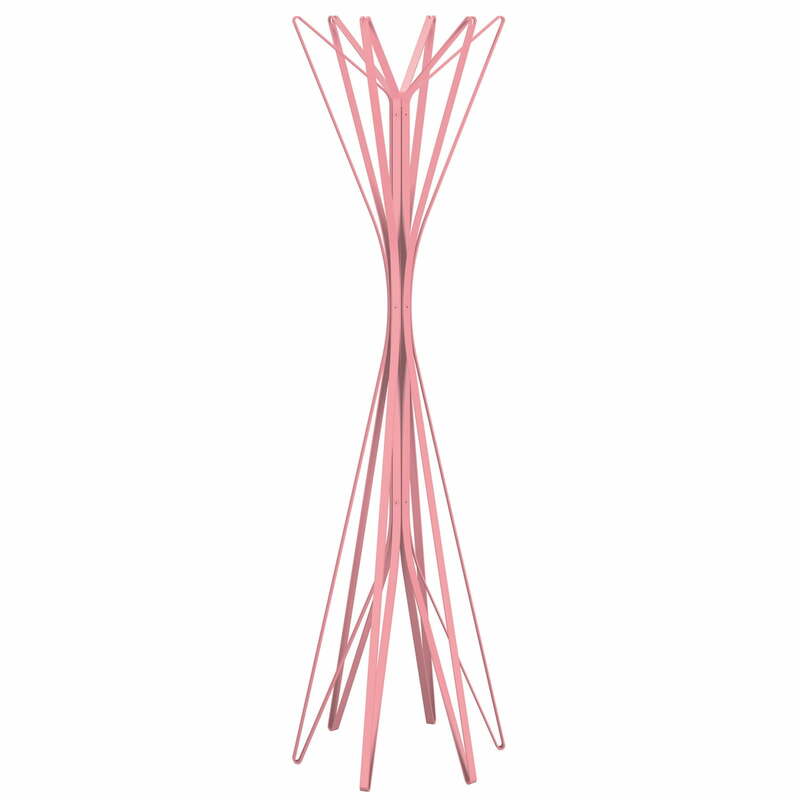 Aster has a fine structure which appeals with colors and shapes as if it was made out of rubber. 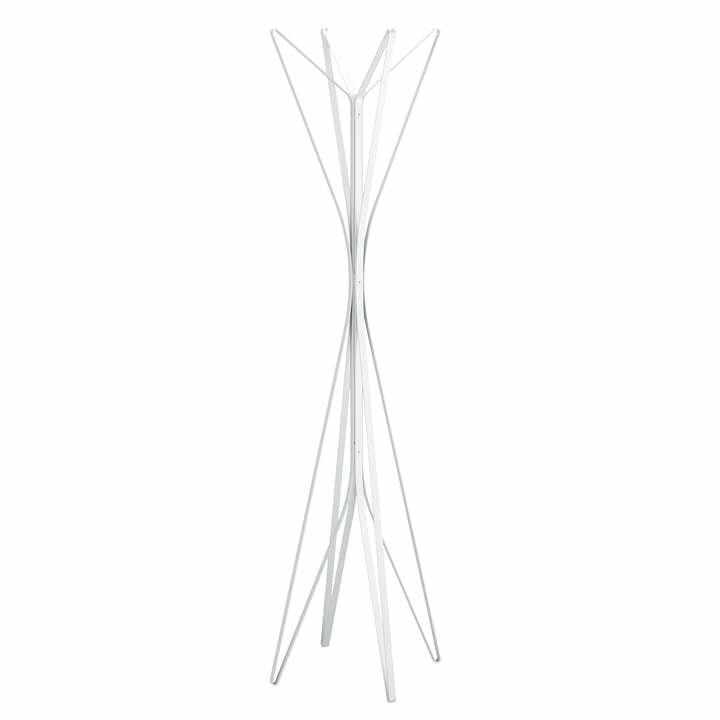 The design is symmetric and the ends of the coat stand, which serve as feet below, are used as hoofs on its top. 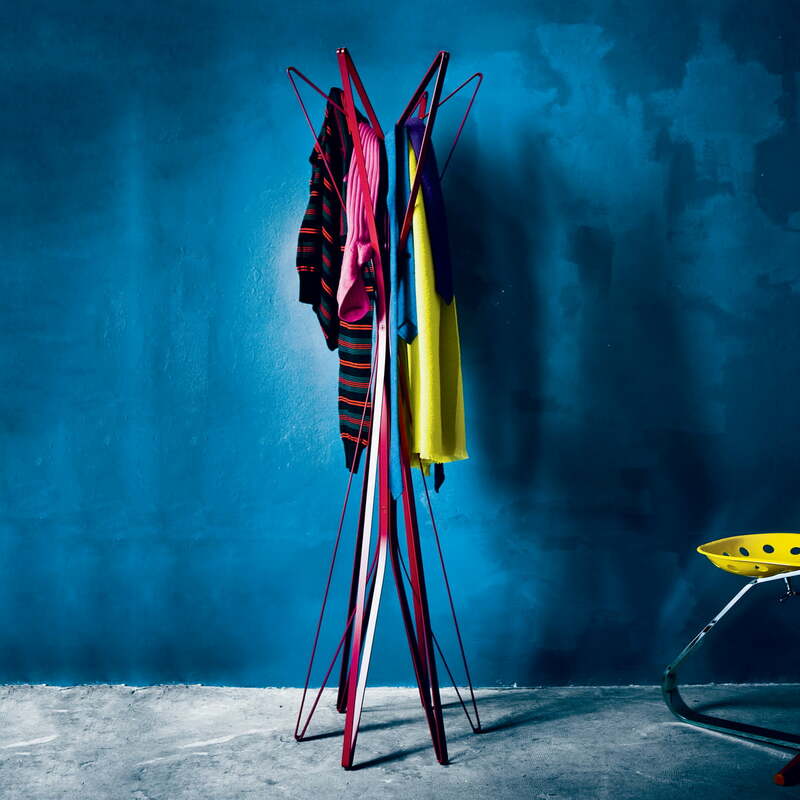 The clothes racks appears as a sculptural element when it stands in the room. 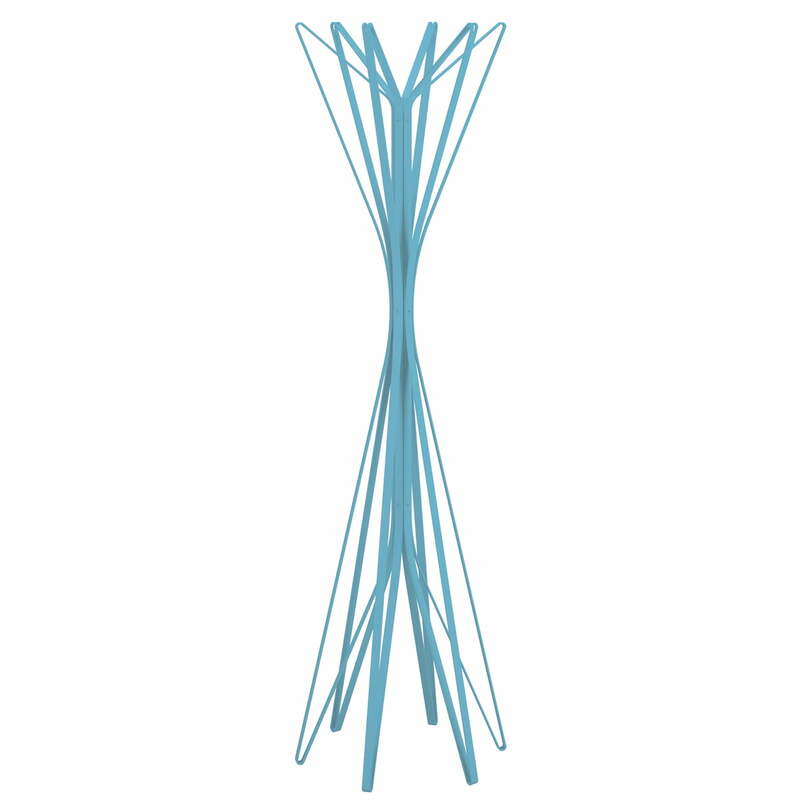 That is how it can serve as a clothes stand as well as decoration in hallways, entrance areas and offices. 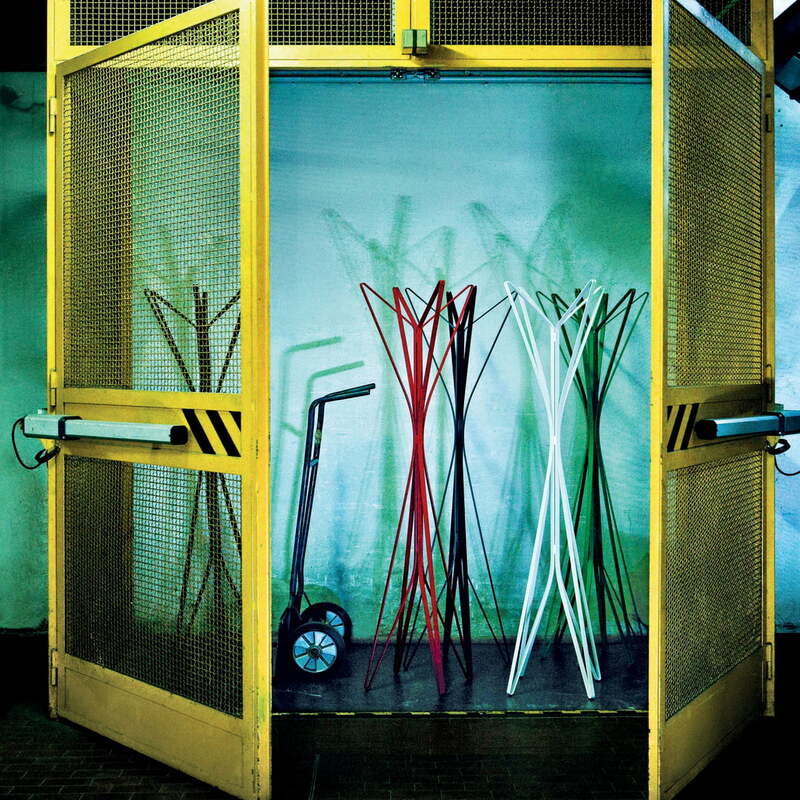 Zanotta manufactures the Aster clothes rack out of lacquered steel. 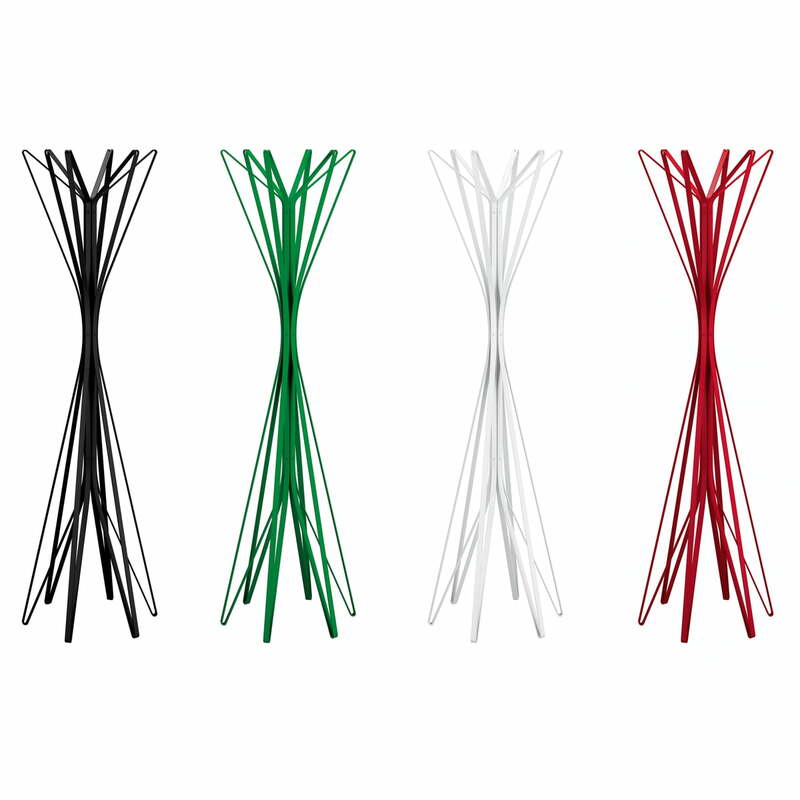 Aster is also available with four or six arms and in different colors on demand.